Kate & Jim’s story began like many others do this day in age: online! 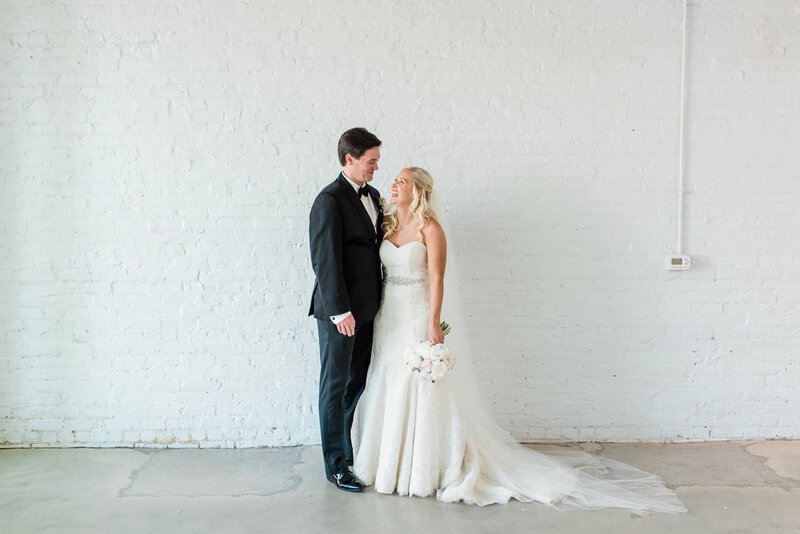 Jim made such a big impression during their first date at a local downtown Raleigh restaurant and continued to “wow” Kate by surprising her at the school she taught at with a huge bouquet of flowers. His gentlemanly tactics stole her heart and the rest is history. The bride wore a beautiful lightly embroidered lace gown by Martina Liana. The fit and flare style paired with the beaded sash, also by Martina Liana, was perfect for Kate’s big day. Kate & Jim’s vendors worked with them to bring their dream day to life. See below for more information on their vendor team! Congrats to you, Kate & Jim!